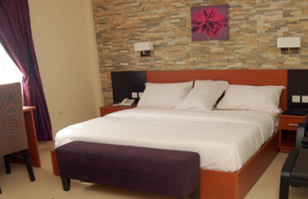 Our newest location which opened in 2013,Unique in design, this contemporary hotel in Calabar offers professional, friendly service coupled with superb facilities. Fast becoming the desirable place for vacations and conferences, it is ideally located at the posh area of Ekorinim in the city of Calabar. The hotel is 15 minutes’ drive from the Margaret Ekpo International Airport and offers a spectacular view of the tourist city. Our facilities are exceptional to meet your every need, an ideal place for business or pleasure. We have 69 luxurious rooms, conferencing and banquet facilities with 200 – 1000 capacity, an ample fitness center, and a refreshing outdoor pool with outdoor bar. Our pastry shop offers you the best freshly made bakery products in town and our restaurant serves mouthwatering cuisines and specialties, a blend of international and local cuisines. 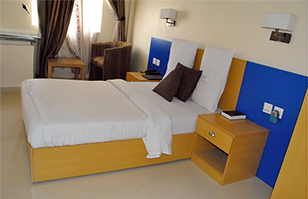 Check into Dannic hotels in Calabar and check in for a time to remember!